The second post of the series that wants to clarify which fuels can respond more appropriately to the needs of each of us is focused on one of the most widespread fuel at the time, an alternative to the petrol and diesel. In the last 40 years its diffusion has given origin to an intense planning activity that has let some of our companies become world leaders of the transformation kits. LPG is a fuel, which at ambient temperature and atmospheric pressure is in a gaseous state. It is liquefied by compression at relatively low pressures between 2 and 8 bar, to reduce its size and make its transport cheaper. The advantage is to make the mixture density about 250 times its density in the gaseous state, thus reducing the volume for the same mass. This makes it possible to use pressure vessels of relatively limited dimensions. LPG is suitable for small and medium combustion uses, such as the use of a kitchen or heating, in which it is the only valid alternative to methane. 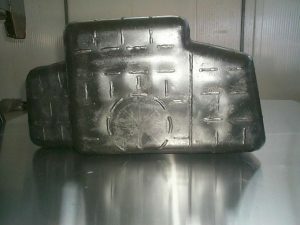 Furthermore, it is an important application in the automotive sector where, in engines with Otto cycle, it is a very good alternative to petrol, because it has a higher calorific value than methane with the same weight (although the methane causes less pollution), and without the problems of corrosion of the valves and valve-seats caused by methanol and ethanol. On July 2017, in Italy, the current number of LPG cars in the street should exceed 2.5 million cars out of a total of 37 million. 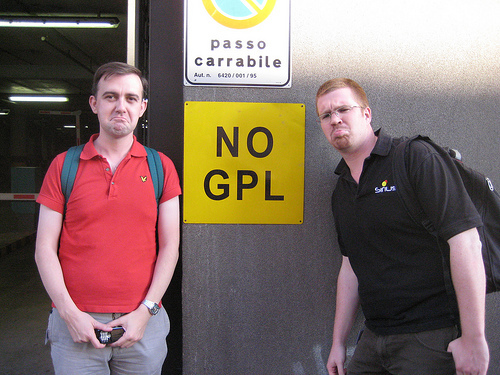 The LPG has a very extensive distribution network with about 3,984 refuelling points (of which 34 out of service) throughout Italy, at the date of publication of this post. The application of these systems on the car, both initially as an aftermarket and later as an OEM, especially due to the extensive distribution network, has developed considerably with solutions like methane, which however do not optimize the functionality of the engine Otto Cycle for this fuel. The liquid LPG is sent to the pressure regulator where the transition from liquid to gas takes place and then sent to the injectors mounted on the intake manifold near the valves as for petrol. 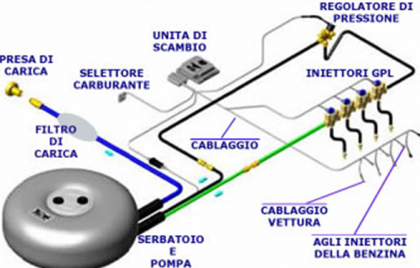 The LPG in the liquid state (and not gaseous as on all other systems), is injected directly into the intake manifold near the valves, as for gasoline, promoting a better fill level and therefore better characteristics of torque and power. The difference in behaviour between the two types of system is underlined above all at high rpm of the heat engine. We do not always have a stoichiometric mixture due to the injection of the gaseous LPG in the suction phase and because of its pressure relatively low (so large volumes with very short terms), so that, in these conditions, the result shows reduced performances. This doesn’t happen in the liquid injection because the volume to be injected is small and the pressure is high. As follows there is the general scheme of both gaseous and liquid plant with the main components. OEMs have now integrated the control unit for LPG into their wiring, ensuring greater integration but consequently locking the access to data. 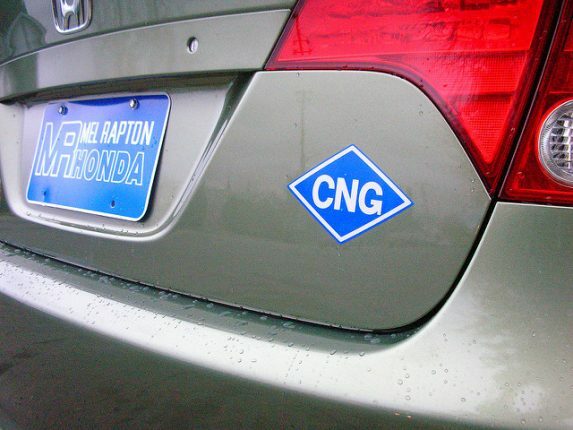 Despite the great development of LPG-powered cars, the OEMs have only adapted an LPG system, taken from the aftermarket, and calibrated the Otto Cycle engine for this fuel in order to comply with the emissions for the certificaton. 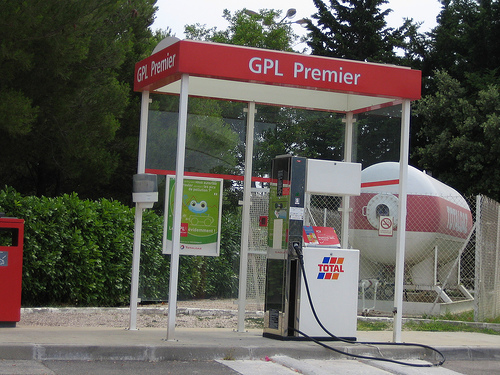 LPG offers a good economy (about 50%) compared to petrol in the car use, and the tank in the car is easier to install than the methane one because the dimensions and weight are far lower. LPG in the gaseous state has a higher density than the air status and this prevents its spreading into the atmosphere; in case of accidental spills it tends to concentrate itself, stagnating on the ground and in the cavities, causing very dangerous accumulation at risk of fire. 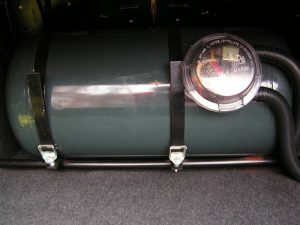 LPG tanks, especially those fitted in place of the spare wheel, may be damaged, in case the car suffers a strong crash, thus causing LPG to escape into the gaseous state that remains in the area of the accident with a strong fire hazard. The problem at point 2 is due both to the mounting position and to the tank manufacturing technology, both for the cylindrical and the toroidal one, as it is composed of pressed and welded shells. The welding area is always critical as it changes the properties of the material to be assembled due to the strong local heating. 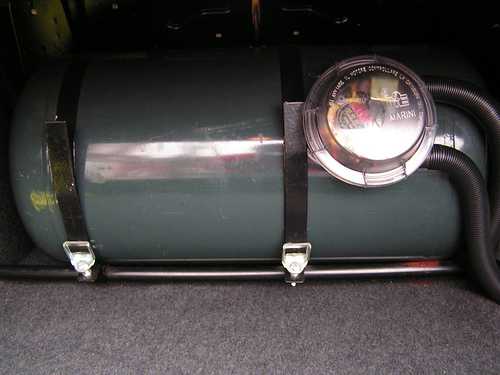 In order to reduce the risk of damage, I designed and built, tested and approved a LPG tank to be installed instead of the petrol one (see pictures). The little humps visible on the right picture are due to an internal pressure test at 100 bar. This solution was much appreciated by security technicians, but the companies involved didnÕt want cover the investments for the supplies and the higher variable cost, using the component already available on the market. My personal opinion is that a LPG car despite some negative aspects is very interesting and therefore it is right it’s marketed successfully. Sensory marketing could be a new standard for car dealers, allowing them to be different from the competitors.